Perfect to set position of detector on pole. Easy to find comparision of high and low position at a glance. 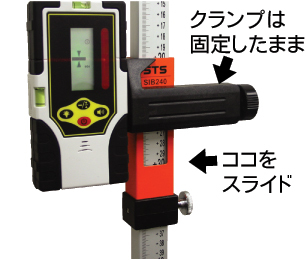 ■Make it easy to decide a position of a detector on Scale Pole by sliding it, which used to be very difficult by a clamp. 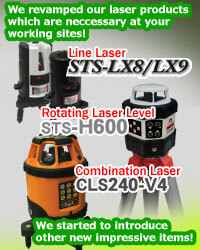 ■Easy to measure comparision of high and low position by sliding a detector. ■There is also 1mm unit scale on the back. 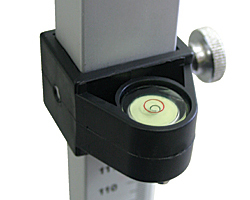 As it has a sliding part, it is not neccessary to take off a clamp whenever you move a detector. It makes it easy to decide a position at a detecting point precisely. It also avoids shifting of a detector when fixing its clamp on a pole. 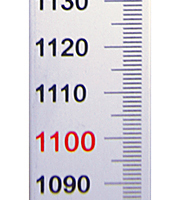 With a spirit level, you can keep this Scale Pole vertically. 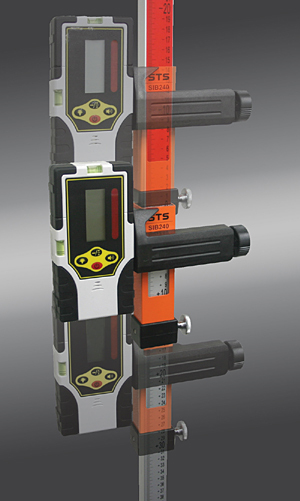 �@ Set a sliding part with a detector on its zero set position of 2nd section of a scale Pole. Put the Scale Pole on your desirable place, and extend 2nd section upward and then fix the 2nd section at the height where it can detect laser beam at zero setting position.